If this wallpaper photo doesn’t allow you to vicariously drive away from all of the stressful things occurring on a typical computer desktop—that is, if you work on the computer—then you may just be out of luck. This weekend’s wallpaper comes in advance of our full review of the 2017 Acura NSX on the track and street, so be sure to check back tomorrow morning to read it. Until then, we’ll just leave you with a pretty photo as a teaser. While we’re on the topic of the NSX, we learned some interesting things about the car over the last month. Just Wednesday, we got word that an NSX Type R is under consideration by Honda—though it’s not an entirely new idea, it could result in a lighter, rear-wheel drive version of the NSX if acted upon. As for the existing NSX, Jay Leno’s Garage got to talk with the designer about everything that went into the 2016 model. The talk involved interesting details in the design process, like the fact that the rearview mirrors are huge in order for the driver to be able to see around the car’s giant rear fender and side intake. Next week, we’ll get back to sharing photography from you all. If you’d like to submit a photo or two to be considered for a weekend-wallpaper post, feel free to send an email to the address below. 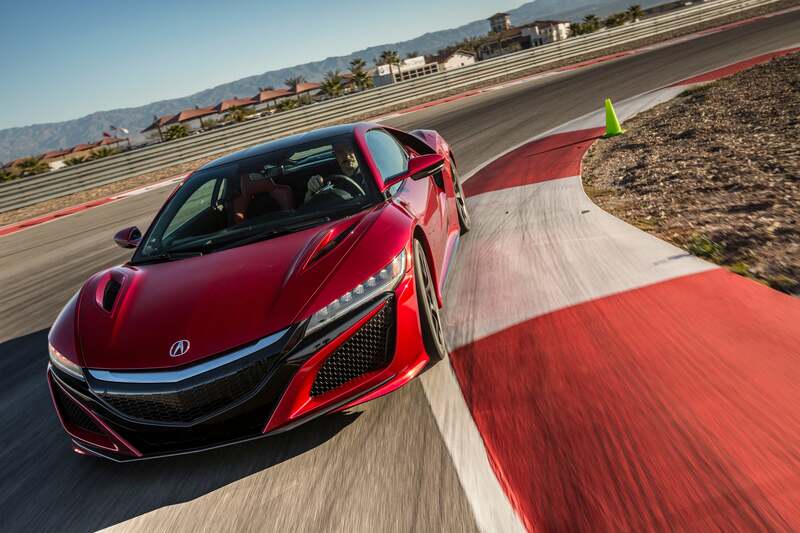 May your work week go by as quickly as that NSX looks to be moving in the photo above. If not, you’ll at least have some reading material to pass the time. Photo credit: Acura. For a big desktop version, click here.